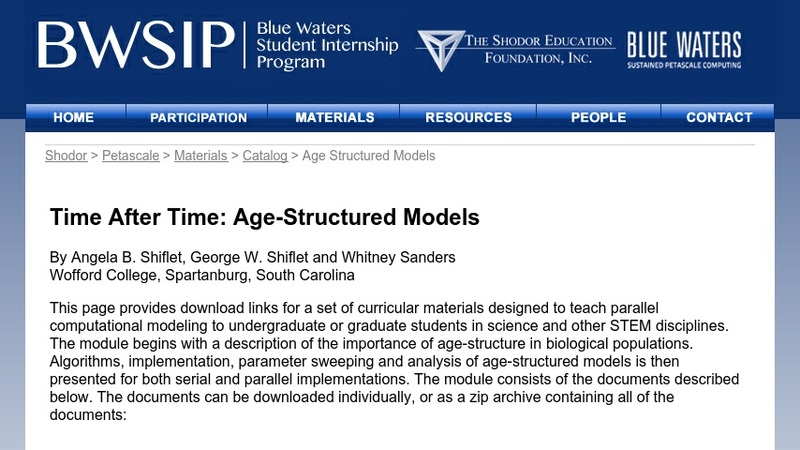 This page provides download links for a set of curricular materials designed to teach parallel computational modeling to undergraduate or graduate students in science and other STEM disciplines. The module begins with a description of the importance of age-structure in biological populations. Algorithms, implementation, parameter sweeping and analysis of age-structured models is then presented for both serial and parallel implementations.